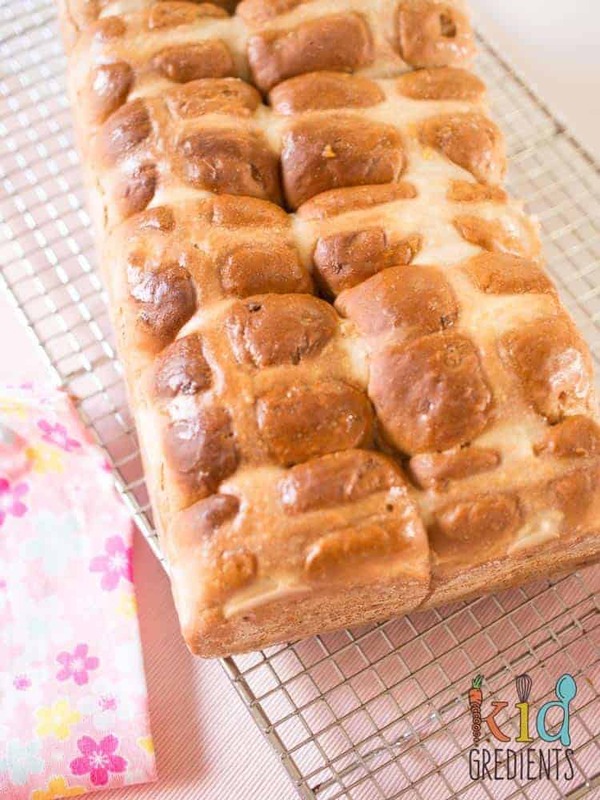 Last year I did a post on hot cross buns and despite the fact that they are still doing really well, I thought I would make this an annual thing and do a new recipe each year. This year I’ve tried to make something even my son will eat. But I’ve failed. Like Mr Kidgredients, hot cross buns just aren’t for him. 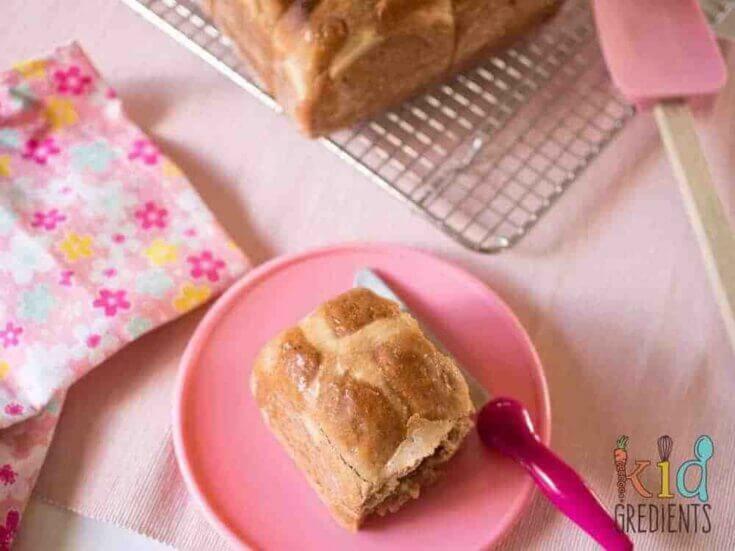 These apple and cinnamon hot cross buns taste amazing and are just as perfect with a cup of tea as they are as a yummy breakfast. Hot cross buns basically appeared in the shops on Boxing day again this year and I haven’t bought any yet. 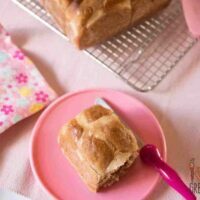 Now that my daughter loves cooking so much, she is super keen to make things herself and hot cross buns are one of them. I put the dough for these on for its first rise before I did school pickup yesterday. We came home to a bowl of dough that had risen so high she thought it was a giant cupcake. 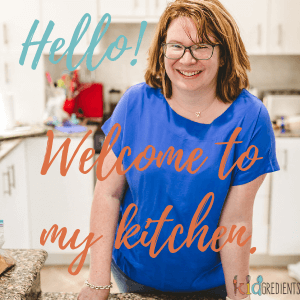 I enlisted her help to shape the individual buns, because that is some thing that she really excels at after years of baking together! She rolls them in her hands…and drops them into the baking dish like a pro! We love our apple and cinnamon hot cross buns slightly warm with a little (lot) of butter on them. 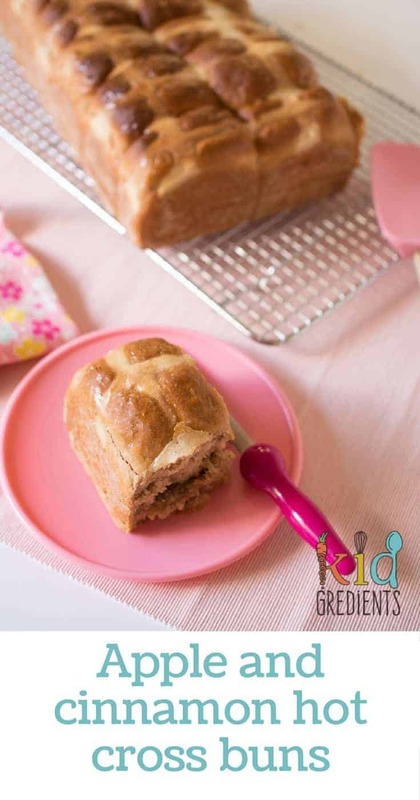 I also recommend if your family likes a lot of hot cross buns, to double batch this recipe and make 24. It means you’ll have enough for a few weeks and you can freeze them. Just defrost overnight in the fridge or in the microwave in the morning. I’ve used sugar in these buns, not much, but there had to be some, and I’ve used raw sugar so it isn’t as refined, but choose your own weapon! These ones also only use unbleached plain (not wholemeal flour) and the reason for this is simple. I didn’t have any wholemeal. So feel free to switch one cup for wholemeal flour if you would prefer. Love sultanas in your hot cross buns? Then put them in! There’s nothing else to change, just put them in at the same time as the apple. 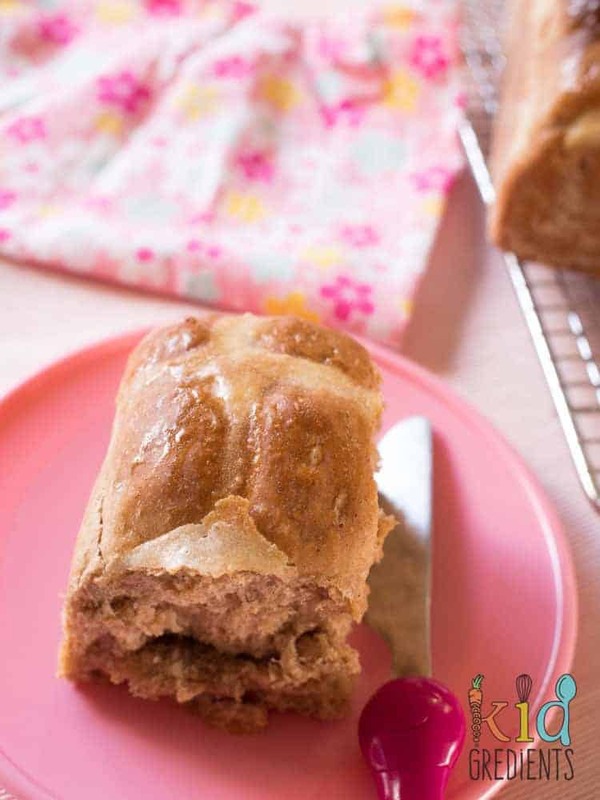 These delicious apple and cinnamon hot cross buns have the perfect mix of autumn flavours! using a dough hook on your mixer (or do it by hand), knead for 1 minute on low. Add the apple and knead for 3 minutes on medium.